Pashupatinath, is a Hindu temple which is located on the banks of the Bagmati River in the northwest of Kathmandu. It is dedicated to a manifestation of Shiva called Pashupati (Lord of Animals). It attracts thousands of pilgrims each year and has become well known far beyond the Kathmandu Valley. The temple is barred to non-Hindus, but a good view of the temple can be had from the opposite bank of the river. 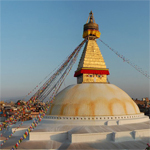 The holiest Tibetain Boudhanath Stupa is the largest stupa in Nepal which is located in Boudha. It is the center of Tibetan culture in Kathmandu and rich in Buddhist symbolism. Boudhanath was probably built in the 14th century after the Mughal invasions; various interesting legends are told regarding the reasons for its construction. After the arrival of thousands of Tibetans following the 1959 Chinese invasion, the temple has become one of the most important centers of Tibetan Buddhism. Today it remains an important place of pilgrimage and meditation for Tibetan Buddhists and local Nepalis, as well as a popular tourist site. Swayambhunath is known best as the monkey temple and it is located a little on the outskirts of Kathmandu… from there, perched on the top of a hill, you can get magnificent views of the city – that is to say, smog permitting. Swayambhunath is not exactly a temple but rather a religious complex with an imposing stupas, smaller temples, monuments and images of deities. There are to ways to reach it, either via a long and steep stone staiway (362 steps long) or a short 2 minutes walk. Patan, the oldest of all the three cities of Kathmandu valley. It is the best known for its artistic heritage. . The city is situated on a plateau across Bagmati River. Another name of Patan, is Lalitpur. 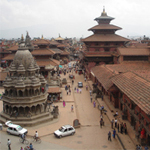 The city is surrounded by 4Stupas as 4 corners of Patan, one at each corner of its cardinal points. These stupas are said to have been built by the famous Emperor Ashoka. This is one of the most elegant architectural treasures of which Patan is very proud. About the beauty of Patan, a western lady writer has to say this – “Patan means eternity itself and Patan Durbar Square is the spectacular sight of Asia indeed”. Really it is full of Hindu temples and Buddhist monuments with bronze gateways, guardian deities and wonderful carvings and many visitors come here to see the these monuments. 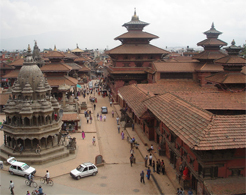 Patan Durbar square is the famous visiting place. The square is full of ancient places, temples, and shrines noted for their exquisite carvings. Kathmandu Durbar Square in the heart of old Kathmandu city in Basantapur never fails to impress first time visitors with its intricate wood carvings and rich history. Surrounded by concrete buildings, the complex is an oasis in a fast developing, chaotic modern city. 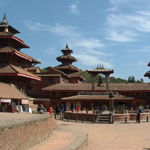 Once the residence of Nepal’s Royal family, all coronation ceremonies were held here. The palace is an amalgamation of eastern and western architecture with additions by Rana and Shah rulers over the centuries. An unbelievable 50 temples lie within the vicinity including the temple of the titular deity, Taleju Bhawani. 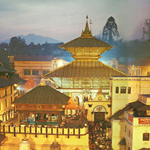 The Durbar is divided into two courtyards, the outer Kasthamandap, Kumari Ghar, and Shiva-Parvati Temple, and the inner section consisting of Hanuman Dhoka and the main palace. Some floors have been converted to museums dedicated to three generations of Shah kings. Most parts of the palace premises are open to tourists throughout the week. Note: Kathmandu Day Itinerary can be changed as per different situation. * Meals, Western and continental food (breakfast, lunch, dinner) during trip. * Necessary Staffs (Guide, Helpers, Driver etc). * Cold drinks and alcoholic beverages during the whole trip. * Hotel accommodations & meals.